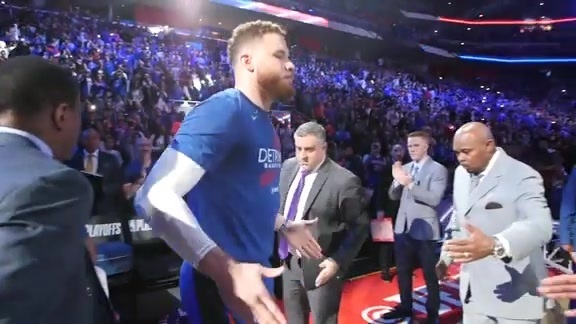 DETROIT, Mich.–The Detroit Pistons are seeking submissions from artists with Metro Detroit ties to showcase their creative talents at the new Henry Ford Detroit Pistons Performance Center. The team is looking to source and acquire art and photography for the new team headquarters and practice facility scheduled to open in the fall of 2019. The organization seeks to create a one-of-a-kind art collection for the performance center that incorporates artwork created by local artists and embodies the spirit of Detroit. Local artists and muralists of all levels and experience are eligible to submit existing work samples, which can explore a variety of themes, including, but not limited to, basketball, the history and culture of Detroit and Michigan, fan excitement and community activity. Mediums for submission include paintings (oil, acrylic, watercolor and mixed media), sketches/drawings (pen and ink, charcoal and pastels), mixed media (found objects, digital, assemblage and collage), photography, sculptures, murals, digital art and graphic arts. To submit work for consideration, artists are asked to email a portfolio of up to five JPEGs representative of their style, along with an artist statement and resume including contact information. The deadline for submissions is 5 p.m. EDT on Monday, April 22, 2019. Submissions should be sent to DetroitPistonsArt@pistons.com. Please ensure that email attachments do not exceed 10 MB and note that only portfolios received via email will be considered. Upon selection, artists will be notified and commissioned for specific works commencing this summer. All artists will be paid for their work in addition to promotion by the Detroit Pistons through traditional and social media. Submission finalists will be notified by Friday, May 10.